Our year starts on the 28th February and then monthly on the 4th Thursday until November. Come along, we are very happy to have men too (you might find a new hobby), if you enjoy making cakes and want to learn how to make them look more spectacular. Three of our members also have workshops on a Saturday making them as varied and as much fun as possible. 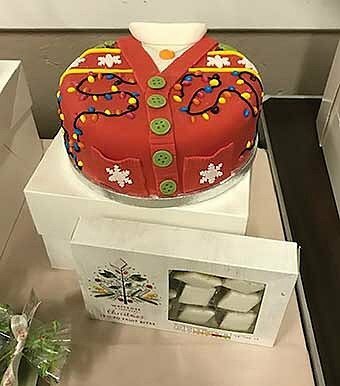 We have a workshop in October to make small decorated Christmas fruit cakes for the Salvation Army, which they distribute to lonely folk, to the homeless and others who might enjoy something special. We love making these and some of our newer members help with decorating them. Fees are £25.00 for the year and £3.00 on the door. This all helps to pay for our demonstrators, materials for workshops and we try to have one outing a year. Contact Sue Rudge via her e-mail for the club. suerudge@live.co.uk.